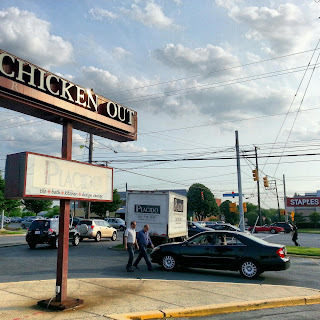 The Rockville Planning Commission last night reopened discussion of perhaps the thorniest element in the draft Rockville Pike Plan, building heights. Commissioner Jack Leiderman expressed concern over the lack of transparency in the draft's current language on height. He noted that both the previous 1989 Pike Plan, and the Rockville zoning code, measure building heights in feet. The draft plan, in contrast, speaks of height in stories. "Part of it is transparency," Leiderman explained, suggesting that the public would be fooled in regard to the actual heights that could end up on the Pike. A building described as "7 stories" could actually be the height equivalent of 12 stories, should the current draft language pass, Leiderman said. Commissioner David Hill said the difference would be more aesthetic than a notable change in density. But Leiderman said that the height in feet was important, as it would have practical impacts such as permanent shadows, delay in ice melting, and incompatibility with the residential character of adjoining single-family home neighborhoods. "I want a maximum expressed in feet even if we're using stories," Leiderman said. He added that he would prefer a cap on heights that would require developers to get permission to build taller, rather than simply give that height away "by right" to every project. Some commissioners also suggested the visual chart on building heights was less-than-transparent, as well. Don Hadley, whose term as Chair of the commission ended last night, said that apparently "the intent was to avoid shock value" by not showing the highest building height possible. "I favor reviewing the issue," he added, and concurred with Leiderman's suggestion of a hybrid story/feet/cap model for heights. "Is it the will of the Commission to revisit heights?" asked David Levy, Rockville's Chief of Long Range Planning. New commission chair Charles Littlefield called a straw vote on the question. Commissioners narrowly voted 3-2-2 to reopen the height discussion. Planner Cindy Kebba said staff would come back with several alternative height schemes at a future meeting. Staff liaison Andrew Gunning advised commissioners that their schedule in the months ahead is growing increasingly tight, making it difficult to fit in the unexpected further discussion on the plan. He said there may be time at one of the February meetings to hold further discussion on heights. Leiderman requested staff include a new visual chart of actual maximum building heights, to compare with the draft version. He said he suspected it "would look quite different" from what's currently being shown.